Enamoured by the elegant beauty of this place, Lord Shiva and Goddess Parvati decided to spend some of their time here. According to the beliefs, it is stated that they had spent some eleven hundred years at this place. So, during their stay here, goddess Parvati lost her precious gem or mani in the stream. Upset with its loss, she asked Lord Shiva to help her find it. The God then asked his attendant to bring back the mani. Angry at their failure, he opened his third eye. As this happened, tremendous destruction was assured. To pacify his wrath, Sheshnag appeared and hissed a flow of boiling water. It spread over a large area resulting in the emergence of precious gems which the Parvati had lost. The boiling water which is still hot is considered extremely propitious. They have curative powers which have resulted in a belief that once you are here, there is no need to visit Kashi. 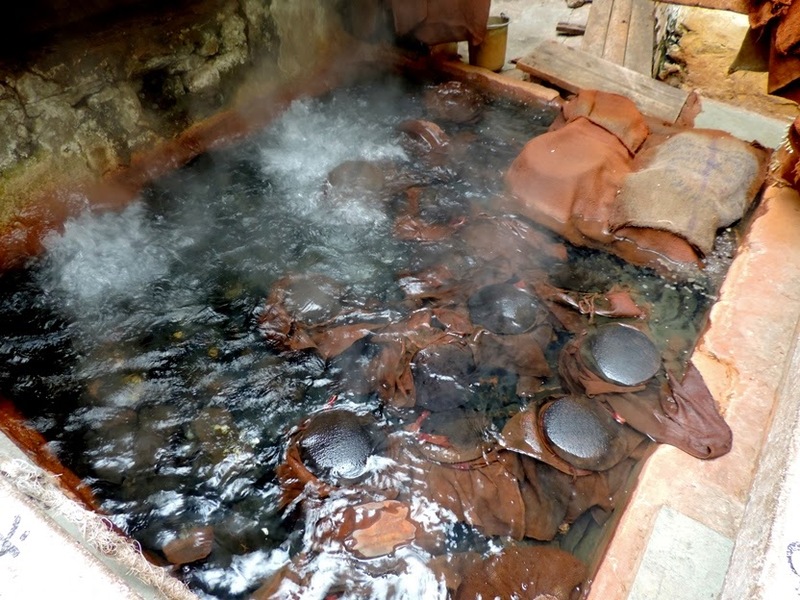 The water is now used to cook food which is distributed as Langar at the Gurudwara and the Rama temple. During the third Udasi, Guru Nanak Dev Ji visited the place in 1574 along with Bhai Mardana. The disciple then felt hungry, but they had no food. Guru Nanak asked Mardana to go and collect food. Many people donated flour so that rotis could be prepared for the Langar. Unfortunately, there was no fire to cook the food. Hence, Dev Ji asked Mardana to lift a rock. As he raised the stone a hot water spring appeared but to his despair the chapatis sank. Guru Nanak told him to hold the chapati and pray to god that if they float he would donate one chapati in his name. As a result, the rotis started to swim and were duly baked. Since then the hot water continues to flow, and it is believed that anyone who donates something to God, their drowned and lost items float back to them. The main reason behind the presence of the hot water springs is the deep cracks or fissures in the Parvati Valley region. Due to this, the water of the Parvati River drains deep down and get in contact with the hot rocks situated beneath the earth. 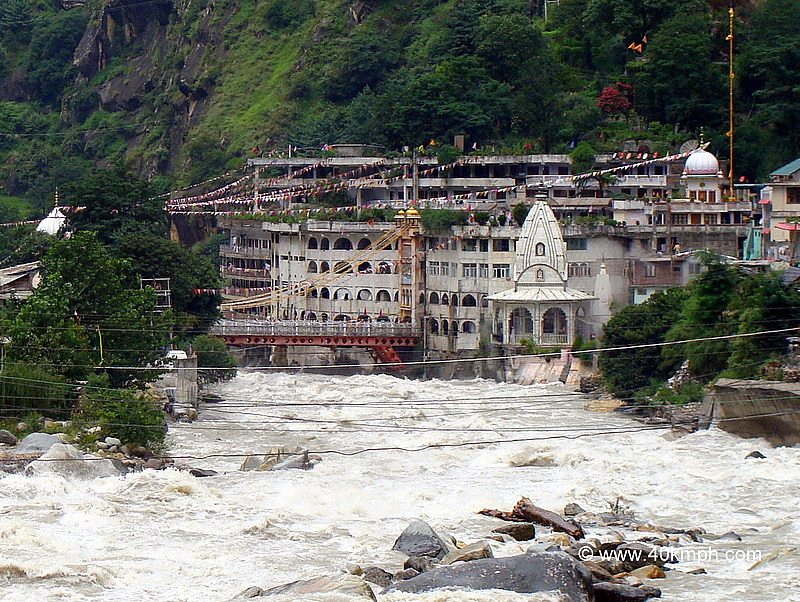 The hot water then shoots upward towards the Manikaran. The temperature of these rocks keeps on increasing due to the existence of geothermal energy hence the water here never cools down. The salubrious uses of this water come from the concentration of dissolved mineral content. Nature has its own way of showing its colors. There are several mysteries which when solved baffle the people. 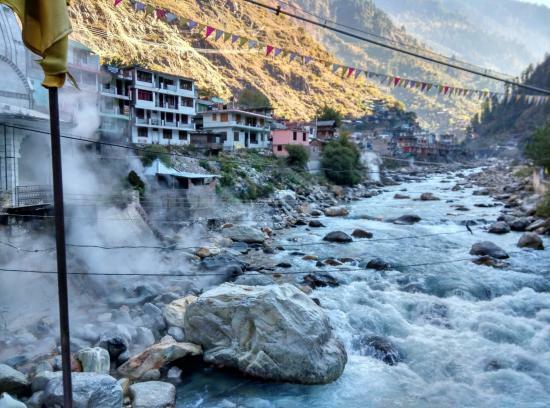 Visiting Manikaran will leave you awestruck with its surprisingly boiled water.